We think the acquisition of nacelle manufacturer MRAS from GE for US$630m could boost ST Engineering’s profit by 8-12% in FY19F-FY20F, conservatively. Assuming a 50/50 cash/debt funding on net consideration, STE would swing into net gearing of 0.1x, which is reasonable, and a less lazy balance sheet. The purchase price implies a 10x EBITDA for the 12-month ended Jun 2018. On a forward basis, we estimate 12.5x FY20F P/E. 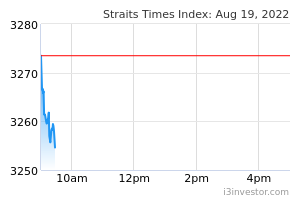 Maintain ADD and S$3.80 Target Price, based on blended valuations. Acquisition is slated to complete by 1Q19, subject to approval. Our Target Price would rise to S$4.13 upon completion. ST Engineering is acquiring 100% of Baltimore-based nacelles manufacturer MRA Systems (MRAS) from General Electric Co for US$630m (S$868m). An engine nacelle is the casing that houses an aircraft engine, providing efficient aerodynamics during flight and thrust reversal capabilities. Each aircraft needs two units. The acquisition lifts STE’s aerospace unit up the value chain to become an OEM of aircraft components and replacement parts. This also somewhat alleviates the fear that OEMs are stealing the lunch of independent maintenance, repair and overhaul (MRO) providers in the aftermarket segment. MRAS is a single-source supplier for the new-generation A320neo aircraft powered by the next-generation CFM LEAP-1A engines. More than 6,000 A320neo aircraft have been ordered to-date, of which 2,300 are to be equipped with the LEAP-1A engine. MRAS has delivered more than 500 Leap-1A units so far. We estimate MRAS delivered 400 units of nacelles (a combination of new and mature programmes) in the 12-month ended Jun 2018. Management believes a 40-50% ramp-up in the LEAP-1A programme in the first year of MRAS acquisition is possible. Each LEAP-1A nacelle could fetch US$1.2m-1.6m. MRAS generated S$33m net profit in 1H18. Revenue for the 12-month ended Jun 2018 was S$723m. Its 1H18 net margin of 9% is comparable to STE’s existing aerospace margin. On an annualised basis, we expect MRAS to contribute S$45m, or 8% to group earnings in FY19F. Assuming a gradual ramp up of 20% in FY20F, group earnings will rise S$80m, adding another 12% to our current forecast. In a bull case of 40% ramp up, profit for MRAS could rise to S$92m in FY20F. No major capex is required for the existing programmes. MRAS operates from a 1.7m sq ft facility on 180 acres of land, with 800 staff. It has a proud 90-year heritage. As at end-1H18, ST Engineering had net cash of S$150m (cash at hand of S$1.2bn). The purchase price of US$630m (S$886m) is on a cash-free and debt-free basis, subject to closing adjustments (underfunded pension obligations, other debt-like items, transaction expenses, net working capital). The net consideration post adjustments is US$440m (S$606m), to be funded by cash and borrowings; the mix is undisclosed. 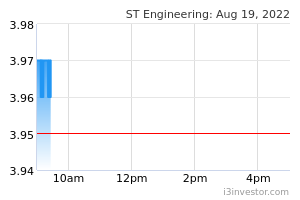 Assuming a 50/50 cash/debt structure, ST Engineering would swing to 0.1x net gearing. We think ST Engineering’s dividend payout will not be compromised given the accretion MRAS brings. We keep our forecasts for now, pending the transaction’s completion. If we factor in our base case expectation of 8-12% FY19-20F EPS uplift, our Target Price would rise to S$4.13 upon the acquisition’s completion. Successful deal completion is a potential key catalyst. Downside risks to our call include cost overrun and multiplier effects of a trade war. Together with Safran Nacelles, MRAS was awarded a single-source contract by Airbus for A320neo’s LEAP-1A engine nacelles in 2012. Other single-source programmes in MRAS portfolio are COMAC’s C919 aircraft powered by LEAP 1- C engine, and COMAC’s ARJ21 aircraft powered by GE’s CF34 engine. There are more than 1,200 C919 and ARJ21 planes on order.